The effect of intercritical annealing at Ac1, Ac1f, and Ac3 temperatures followed by water quenching was studied on the microstructure and mechanical properties of a 0.035C-0.27Mn low-carbon steel. During short-term holding at Ac1 and Ac1f, some pearlite remained after quenching and the yield-point phenomenon was still detectable, which was related to the formation of small amount of martensite inside pearlite colonies and on ferrite grain boundaries with marginal effect on the surrounding ferrite phase. By increasing holding time at Ac1f, pearlite disappeared and DP microstructures were achieved with the disappearance of the yield-point phenomenon and the enhancement of the work-hardening capacity. At long holding times, however, the mechanical properties deteriorated mainly due to the coarsening of martensitic islands and disappearance of dynamic strain aging (Portevin–Le Chatelier) effect at room temperature. 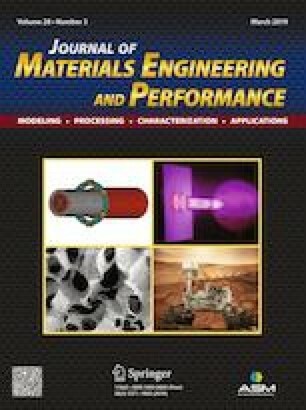 The authors would like to greatly thank the members of the Advanced Steels and Thermomechanically Processed Engineering Materials Laboratory for their help and support. Financial support by the University of Tehran is also gratefully acknowledged.